They start working in 30 minutes. They’re so gentle they can be used DAILY. 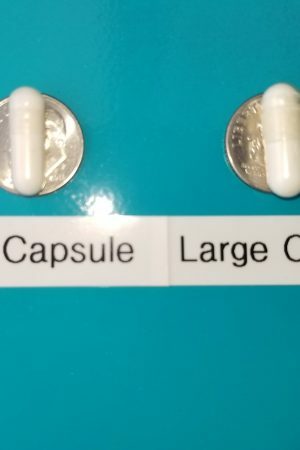 Not sure if the capsule was swallowed? A SECOND one is OK.
One capsule didn’t quite do the job? 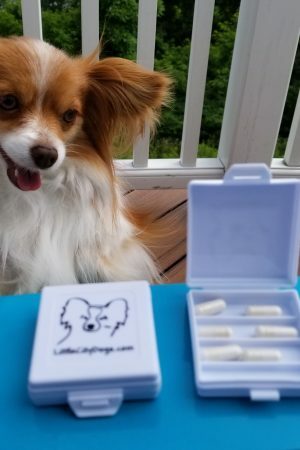 A SECOND capsule is OK.
You no longer have to pick, pull and comb for fleas. 30 minutes after dosing with Nitenpyram, the fleas just fall off. Dose when you see adult fleas or dose every 1-2 days. 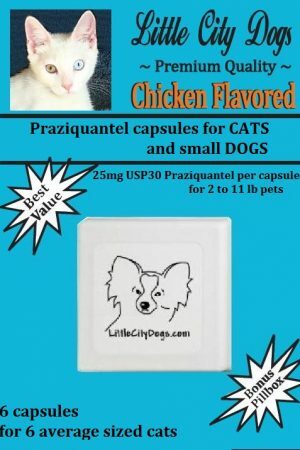 For best results use with Lufenuron. Nitenpyram kills the adult fleas… 5% of the flea population. 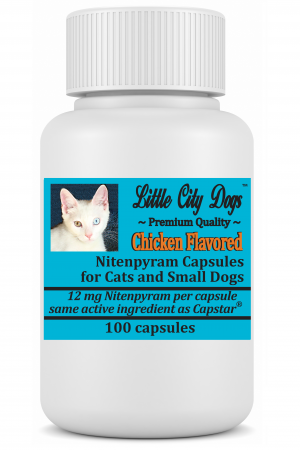 Lufenuron kills flea eggs and larvae, 85% of the fleas. …and when the pupae hatch, you can kill them as adults with Nitenpyram. 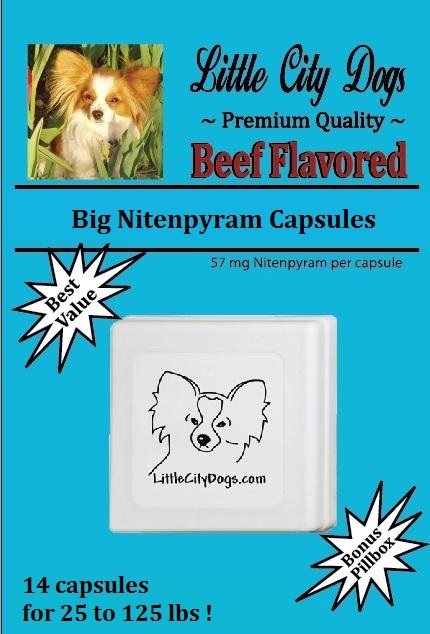 I have bought this product from “Little City Dogs” for my dogs several times and it kills fleas just as promised. 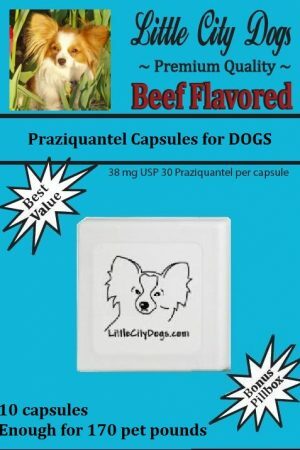 I live in Florida where fleas are a big problem and every time I give my dogs this product they get a few good nights of sleep without scratching. 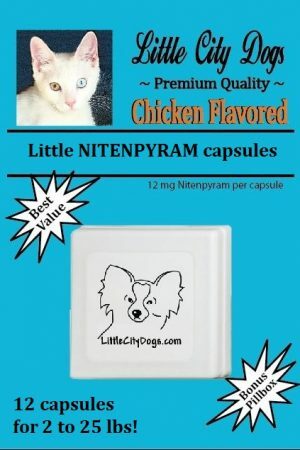 In my opinion, their product is better than any others like it on the market including the much more expensive brand name “Capstar.” I have a sixteen year old Corgi mix that gets skin irritation from fleas and his old stomach doesn’t tolerate the expensive brand name product as well and will occasionally puke it up after I give it to him, but that has never happened when I have used this product from “Little City Dogs.” If you have a fussy old fart of a dog with a flea problem an irritable stomach, this is one product you must try.